Central Idea: People use persuasion to influence others. Inspired by a visit from Ewan McIntosh (see: Designing Worthy Problems). This image of the Design Cycle is taken from the D.School at Stanford University. After a visit to our school from Ewan McIntosh, my co-teacher, Neila, and I decided to take our Grade 4 students through the Design Cycle to begin our unit of inquiry about persuasion. See if you can identify the Design Cycle stages in the following plan. Assume that the students already know and/or can learn quickly. Engage your students with a topic related to your unit that they can easily talk about. Goal: Why does this matter to you? In partners, one person speaks on the topic for 2 minutes. 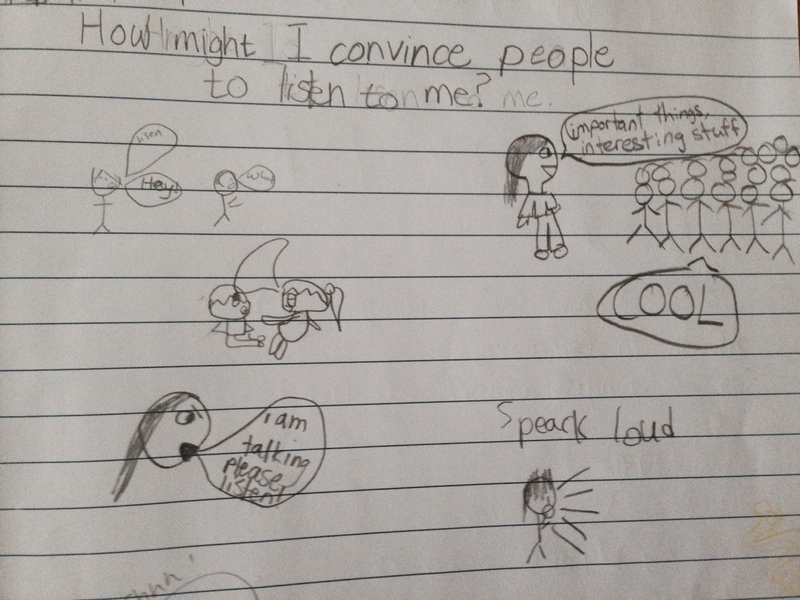 The listener only listens (jot notes allowed). You might need to role play the attributes of a good listener as it is a VERY difficult skill. Digging Deeper: The listener asks probing questions, referring to things that the speaker mentioned in the first interview. Listen for 4 minutes. Goal: Defining what is really important. Together, review the information and come up with a “How might I …” statement. The statement should be important enough to the student to put time and energy into solving it. Goal: Be visual and build on the ideas of others. Once the “How might I…”statements were written, the students went around and sketched out possible solutions to each others’ problems. The sketching allowed us to quickly imagine and record solutions. It was also easy to grasp the ideas of others and then build on them. It was a good start but we needed something to help us broaden our scope. Goal: To encourage crazy ideas and lots of them! Nudge the students out of their boxes by adding a constraint (see a blog post about that here). Each solution must now contain a random word or object. 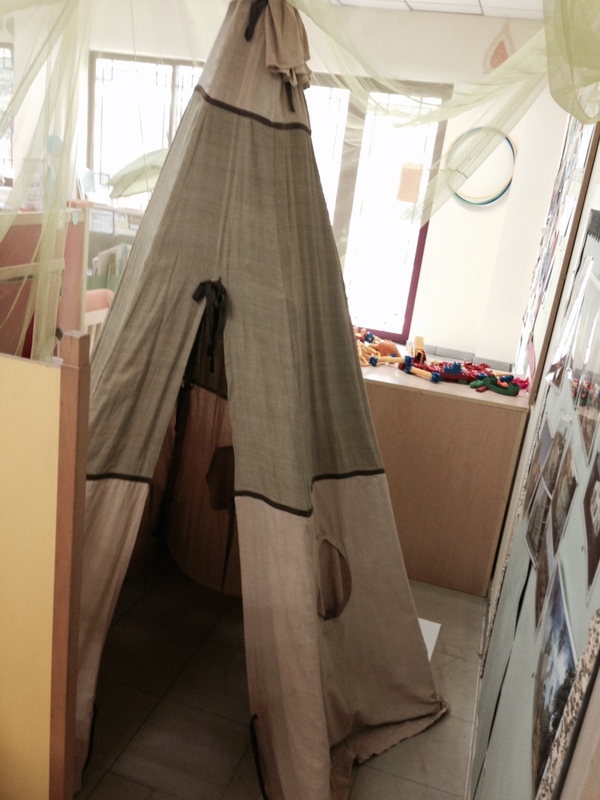 All solutions must include a teepee! 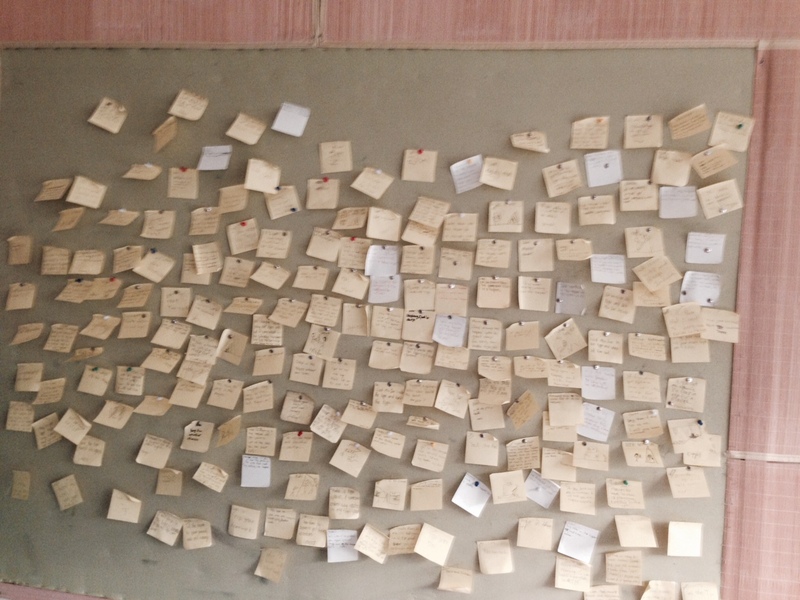 The Project Board: Many ideas to solve our annoying problems. Goal: To gather more information and try out the idea. e.g. Resources: Throughout the first week we immersed the students with examples of persuasive strategies (they are very evident in advertising). Examples of strategies are Bandwagon (“Everyone is doing it! ), Repetition, Research, Claim, Facts, Trust, The Big Lie, The One Time Offer, etc. If the prototype didn’t work, cycle back and try something else. This is the stage that we are at the moment. Goal: To put the solution into action. At this stage the students test their solution. If it doesn’t work, reflect, research and prototype another solution. The students immediately immersed themselves in the unit. The teachers did little talk, we offered provocations that led to learning. Finding a worthy problem took some tweaking and revisiting (this is a difficult skill). Because the students are emotionally attached to these problems, they are highly engaged. They quickly learned to recognize, choose, and use persuasive strategies to help them solve their problems. Critical thinking skills are needed to determine persuasive techniques. A variety of language skills are been developed (visual, dramatic, listening, speaking, reading, writing). How have you used Design Thinking in your unit planning?